blew up themselves, killing one innocent person. 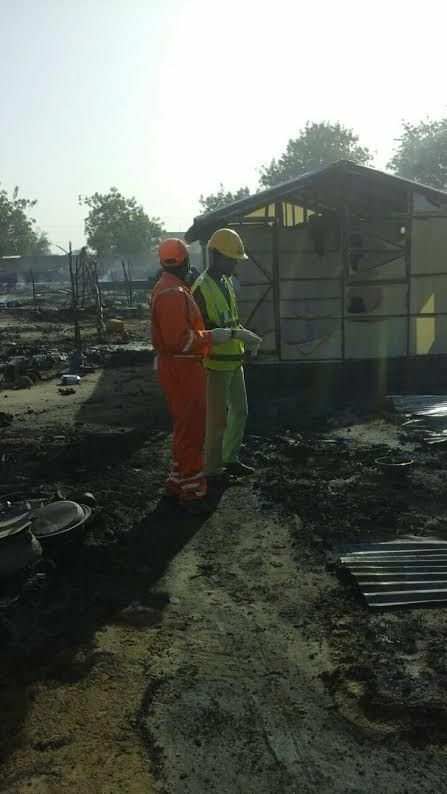 An official of the camp, Ibrahim Gajere, who spoke to reporter on the incident, which happened at about 8:35 pm on Monday, said it left many IDPs in shock. “There has been attempt by Boko Haram on suicide mission to destabilise people from the camp, but they have not been successful. “This one did not came as a surprise but sadly one of the people helping was killed. The people are still in shock. We pray that this situation is overcome soonest,” he said.